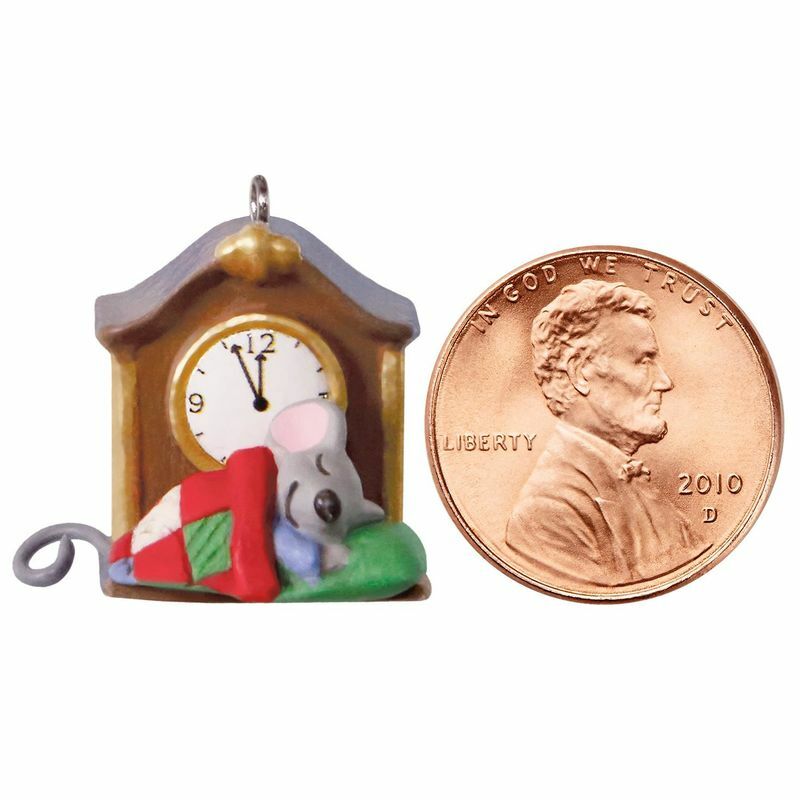 Adorable miniature mouse sleeping by a clock is the 3rd in the A Creature Was Stirring series. 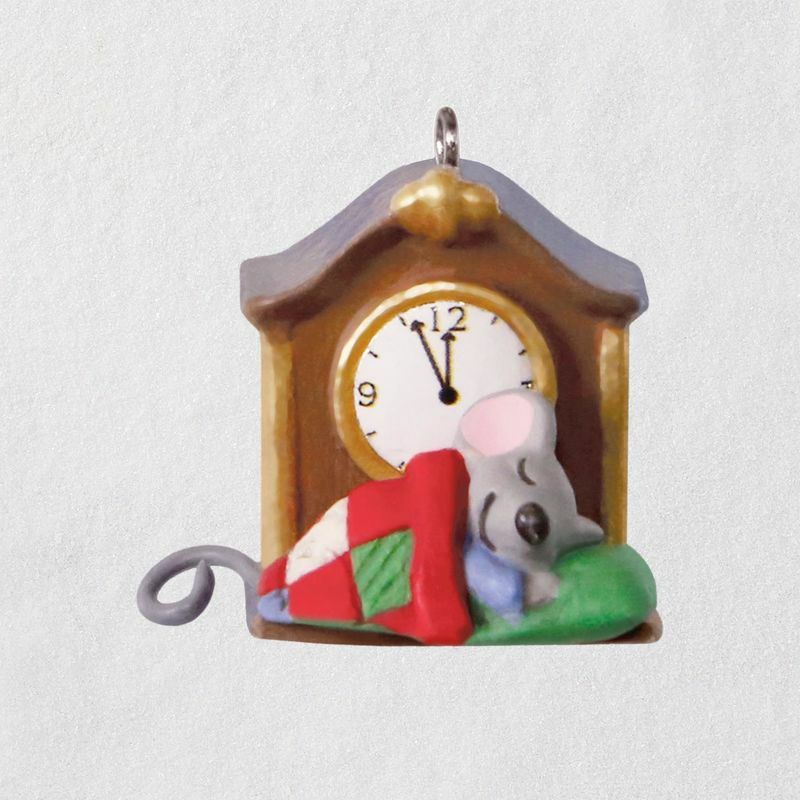 Each Christmas tree ornament in the series features a tiny mouse on Christmas Eve, straight from the pages of the Christmas classic "‘Twas the Night Before Christmas." Collect all 6 to complete the series. 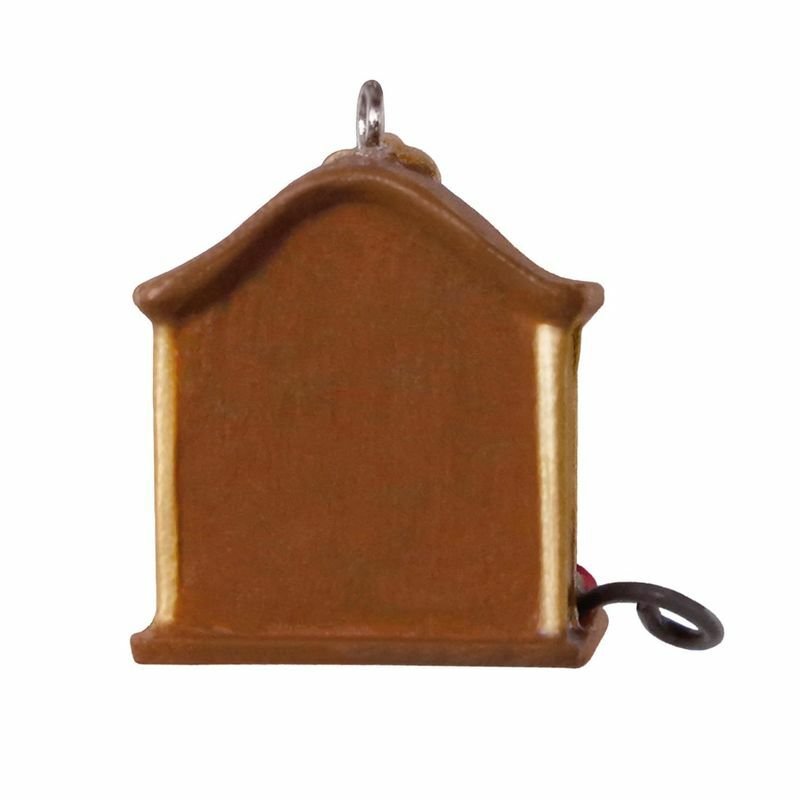 Miniature ornament measures 1" W x 1" H x 0.84" D.
3rd in the A Creature Was Stirring collector's series.